“Minnesota” means sky-tinted or slightly cloudy (sota) water (minne) in the Dakota language. This morning I was reading a poem that referred to something reflecting on water and this flag proposal popped into my head. Water is central to Minnesota’s identity, and the design is meant to simultaneously evoke the sky reflecting on water, cloudy water, flowing water, and, more generally, progress. It’s also up on the Web. ~ by psi07 on 13 February 2008. 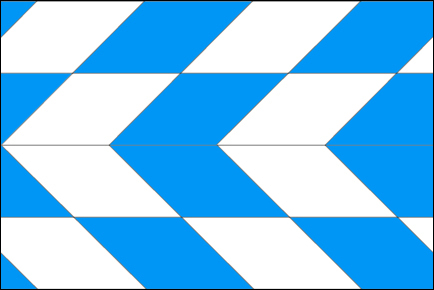 If I can be honest, this flag really reminds me of the German state of Bavaria.